1.The bronze brush Made of fiber hair, Aluminum ferrule with Wooden handle. 2.Used with: Blusher and Foundation and Powder. 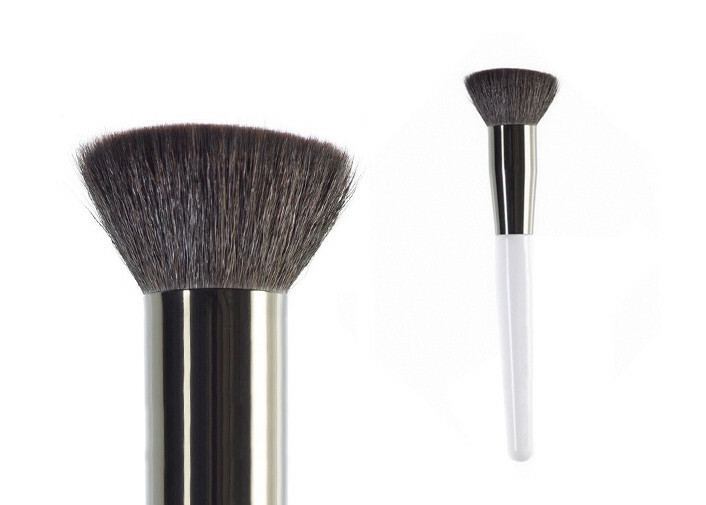 3.The bronze brush helps define and shape a perfect contour for the face. 4.It is soft and comfortable to use. 5.Perfect for both professional use or personal use. What about quality control ? Before the order to be confirmed, we would check the material and color of hair,handle,ferrule, bag,etc. by sample, which should be strictly same as mass production. We will track the different status of production from the beginning. Every brush&bag quality checked before packing. We’ll be also your serious QC. Before delivery, clients could send QC or point the third party to check the quality. We will try our best to help clients when problems occurred.